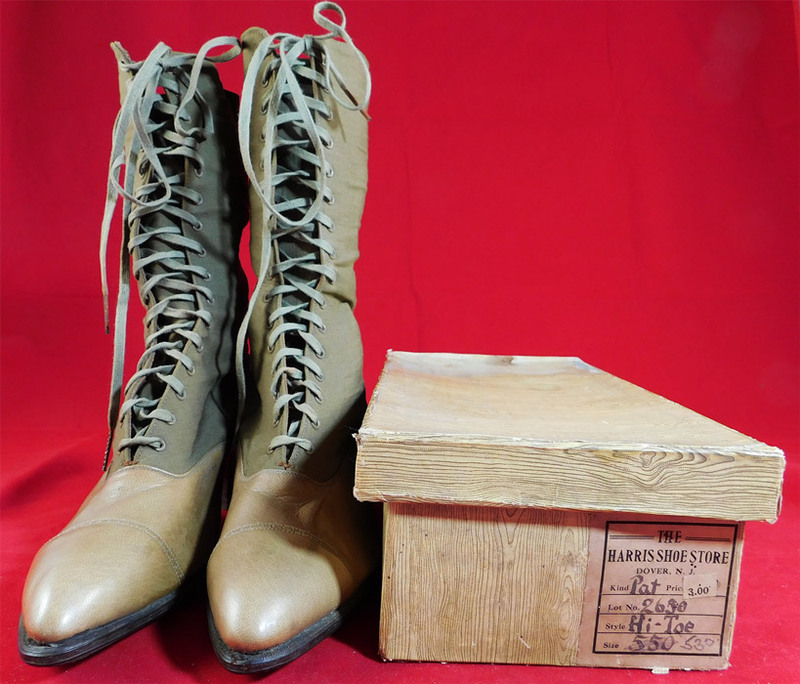 This pair of unworn antique Edwardian era khaki tan two tone wool leather high top lace-up boots and shoe box dates from 1910. They are made of a khaki drab light brown color wool upper boot and tan beige color leather bottom shoe. 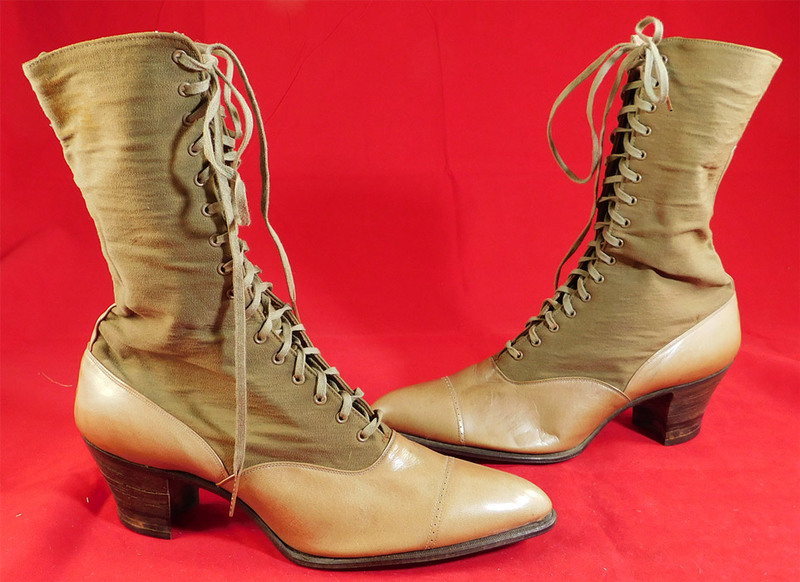 These beautiful boots have a two tone color fabric material combo, with pointed toes, the original khaki shoe string laces for closure and stacked wooden cube heels. They come in the original shoe box covered with a wood grain graphic print paper from "The Harris Shoe Store" in Dover, New Jersey and have the original price tag of $3.00. 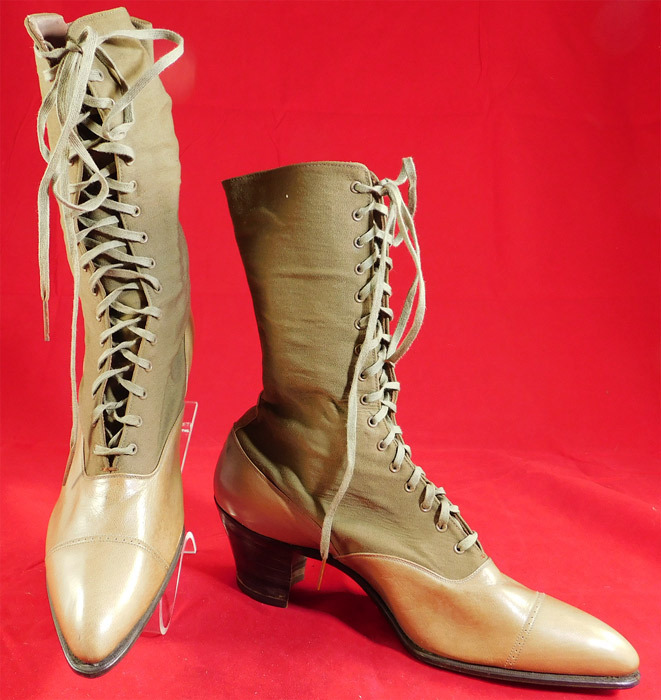 The boots measure 10 1/2 inches tall, 11 inches long, 3 inches wide, with 2 inch high heels. 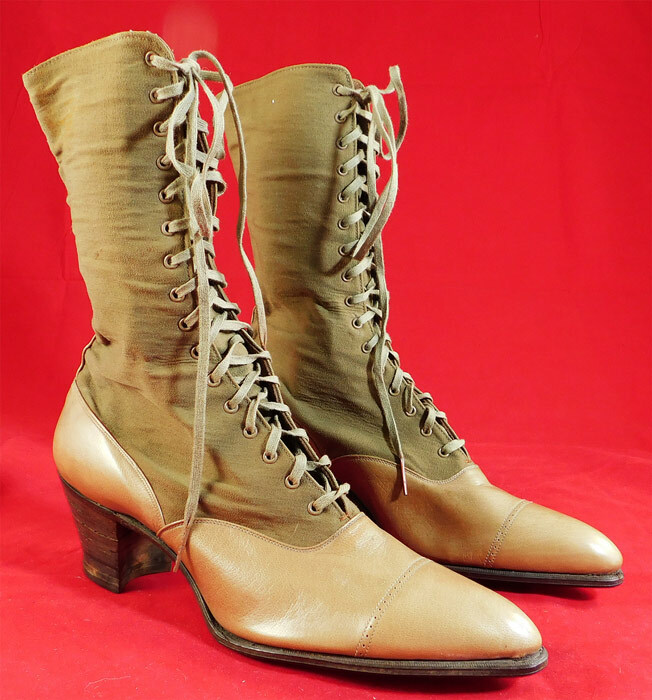 These antique boots are difficult to size for today's foot, but my guess would be about a US size 7 or 8 narrow width and are stamped inside a size 38. They have never been worn, and are old store stock stored away in a basement of the store since 1910. 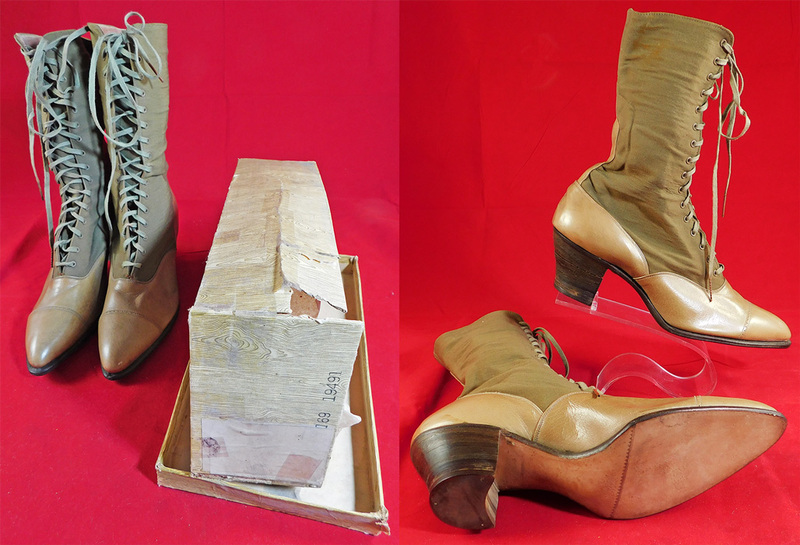 The shoe box is in as-is condition with damaged tape repairs to the outer cardboard paper and is mis-marked not perhaps not belonging to this pair of boots. These are truly a wonderful piece of quality made wearable shoe art!